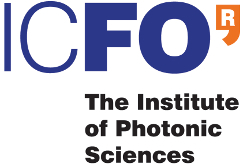 Nanolight 2016 aims at the exploration of the frontiers in the field of subwavelength optics. The meeting will take place in Benasque, which is a beautiful village with a famous ski resort, located in the heart of the Pyrenees, close to the Spanish border with France. The objective of this conference is to facilitate interaction between worldwide researchers working in the field, with a special emphasis on interaction between young and more experienced researchers. To this end, presentations will be given in the afternoons. Mornings will be left free, so participants may enjoy the mountains and/or the excellent working environment provided by the Centro de Ciencias in Benasque (see Benasque Science Centre website for information about the centre facilities). Regular 350 eur. 450 eur.